If you want oceanfront, book early. and a large dining room table for six. 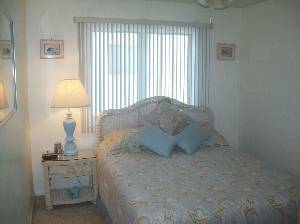 47" HDTV all bedrooms have tv, dvd players, Full size washer and dryer included, High Speed Wireless Internet, Private Deck. 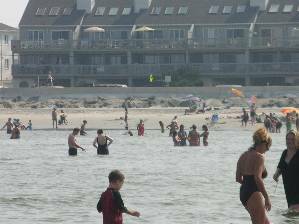 Best ocean views in North Wildwood. A lasting family vacation spot. Morning exercise at Third Avenue gazebo, bike trails, and the Second Avenue Amphitheater within a three minute walk. Lots of good restaurants, nightly entertainment just a short walk away. 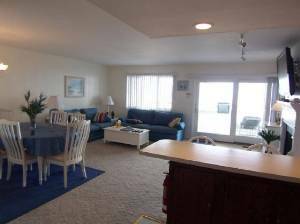 Enjoy your favorite HDTV channels, listen to the sounds of the sea, or enjoy panoramic ocean vistas! 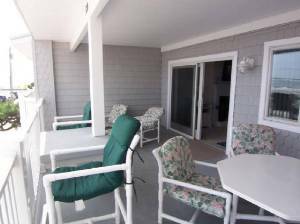 Spacious Deck Measures 12 feet by 22 feet and features ample seating and captains chairs to view the ocean. "Beautiful view- Great place to enjoy our family vacation. Great weather.Thanks so much. We had a totally relaxing vacation, in a wonderful condo. We enjoyed the early morning sunrises, and just watching vacationers fish and walk the beach. The kids walked to te boardwalk and raved about the rides. Great time. "We had a wonderful time. The condo is fabulous, and so was the beach. 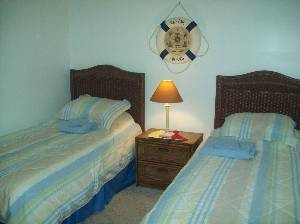 This was a fantastic place for us to spend time with family and relax Thanks"
"We had a great time. We really enjoyed the location, and the adorabe decor of the condo. 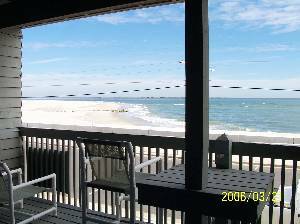 See you next year"
Great covered deck to enjoy the ocean as the seagulls fly bye. very neat, clean and spacious getaway. We will return soon! CALL FOR WINTER GETAWAY RATES. 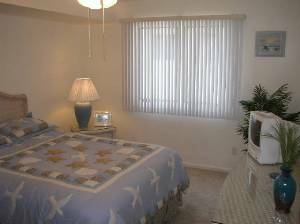 THIS IS A BEAUTIFULLY DECORATED OCEANFRONT CONDO, WITH A GIANT 47" HDTV,PLUS WIRELESS INTERNET. MIDWEEK AND WEEKEND AVAILABLE AT VERY REASONABLE RATES WE BOOK VERY EARLY, ITS A GREAT LOCATION, WITH GREAT VIEWS, AND BEAUTIFUL FURNISHINGS. 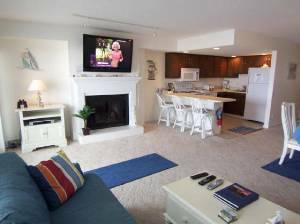 Other Fees: $300 security deposit required.